and move people to action. Bill’s clients include business owners, entrepreneurs, and leaders from such companies as Rubbermaid, Verizon, Woodbury Financial, Bayer Material Science, Sound Financial, AMR Financial and Financial Consultants of America to name a few. Bill is a Certified Professional Coach, and is a Certified Axiological Practitioner with Viatech Global, a leader in the development of axiological assessment tools to measure team and individual performance capacities – as well as other “special interest” human value and judgment capacities. Bill is also certified in DiSC™ Behavioral Assessments. 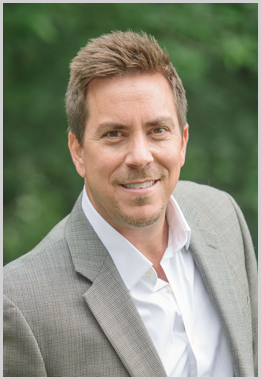 Bill has over 25 years of experience in sales and mortgage consulting, accumulating numerous top sales awards and “Gold Summit” awards in mortgage. He achieved his coaching certification from Lifeforming Leadership Coaching at Regents University in Virginia. Bill has spoken to numerous audiences and has facilitated and provided training at strategic intervention workshops. His unique style of conveying what is needed in an upbuilding and humorous way makes him a favorite with every audience. His clients say that by working with Bill, they have seen improved profitability and productivity, employee engagement, and business growth. Bill inspires his clients to create new attitudes, improve skills, and accomplish goals they thought previously impossible. Bill works to fulfill his purpose in life which is to assist individuals and businesses to develop their God-given potential to have maximum impact in the marketplace. Not only does Bill have an appetite for business success, but his love for knowledge, wisdom and understanding is also insatiable. He is an avid reader of business, personal development and theological books, DVDs and audiotapes. In addition, Bill enjoys regular workouts in the gym, fishing and hiking with his family. Bill currently resides in Charlotte, North Carolina. He is committed to his wife, Angelia of over 30 years and their children with whom he has raised two girls and two boys.